With summer in the rearview mirror, it's time to embrace the crisp air and cozy days ahead. Portland comes alive in the Fall with a multitude of events both intimate and festival-sized. 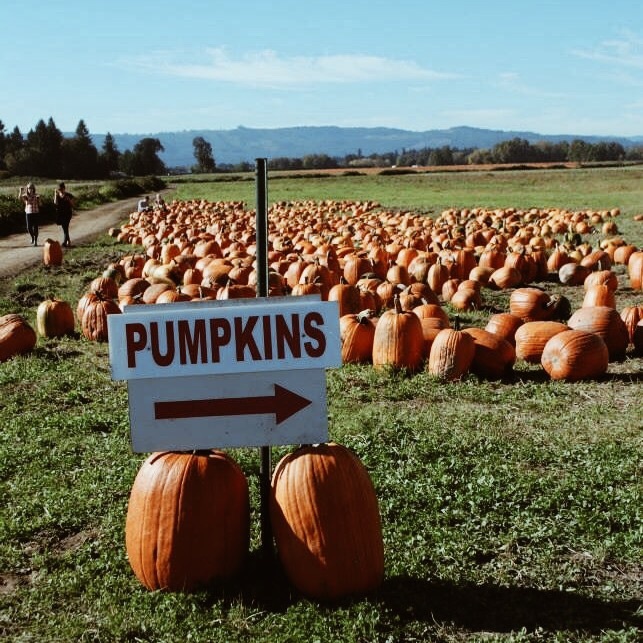 Whether your idea of a perfect weekend is hunting for the perfect pumpkin at Sauvie's Island, sipping on local craft ciders, or planning your dream getaway, there is truly something for everyone this October. TICKET GIVEAWAY: The Paper Airplane will be giving away (2) pairs of tickets to Here & There Travel Fest on October 10th - 11th at the Oregon Convention Center. Read on for further details. It's time to get real about planning that dream trip. At Here & There Travel Fest, you'll have the chance to meet with regional, national, and international travel boards, hear talks from inspiring industry experts, experience various cultural entertainment, and more. The first reader to comment on this post will win 2 free tickets to Here and There Travel Fest! Did someone beat you to it? Be the first to comment on [Facebook] to win your own pair. Adventure on.